You may be wondering how Kensington and Devonshire differ. 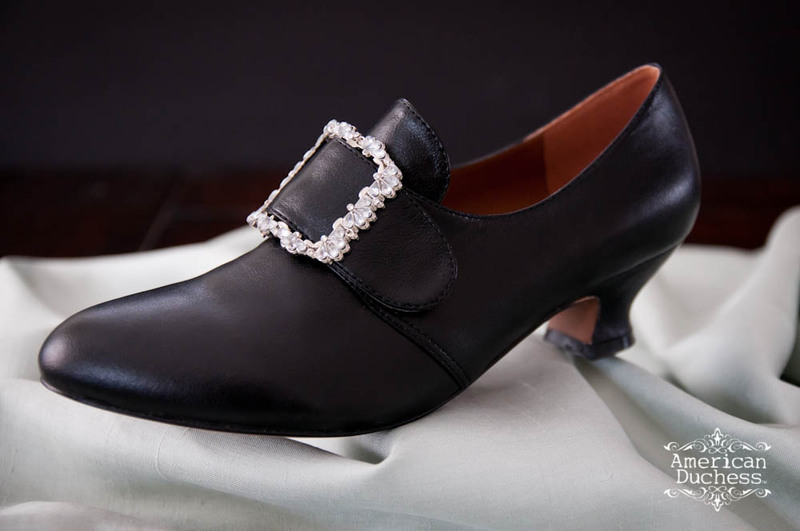 Kensington is a narrower shoe, with a far more pointed toe. 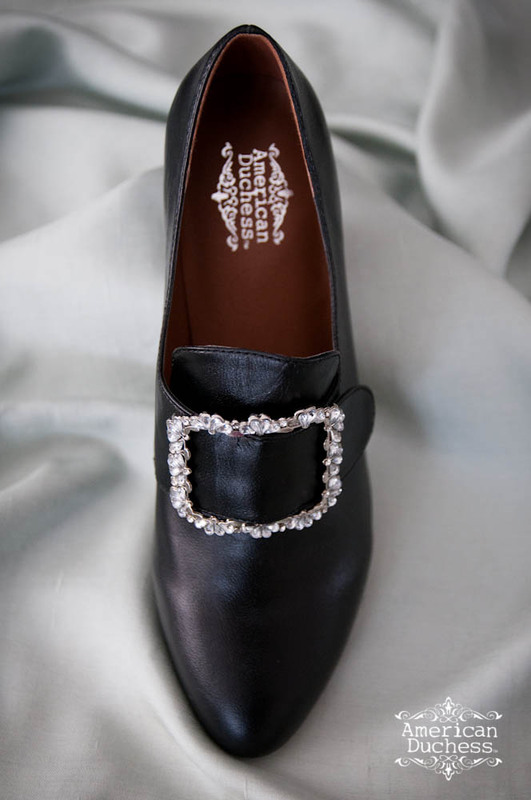 While Devonshire and Kensington share the 1.75 inch French heel, Kensington features rounded latchets and tongue, and also a straight seam on the side instead of a dog-leg. Both Kensington and Devonshire are historically accurate for the dates 1760s-1780s. 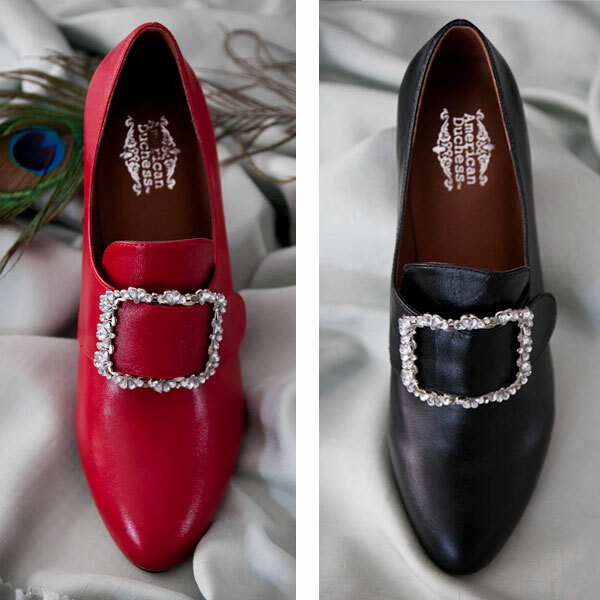 And of course, Kensies comes in black and red! More information and specs are on Kensington's listing on our website: www.american-duchess.com. Also feel free to leave comments and questions here, or e-mail me directly at lauren@american-duchess.com . They are beautiful shoes though, and I can't wait for the ivory ones to be released! When they come out, can you do a tutorial on how to put the buckles on? That's great, thank you! Are you considering making plainer buckles? I'm sure there are plenty of people who could use some! Gorgeous! I was planning on just ordering the red, but now I thinking red and black. Your shoes are so comfortable that I can wear them all the time. The look very nice with a business suit. Oh, boo! I was so excited about the ivory! They are lovely in black and red though. You're putting out so many shoe styles my budget can't keep up: I want them alll! 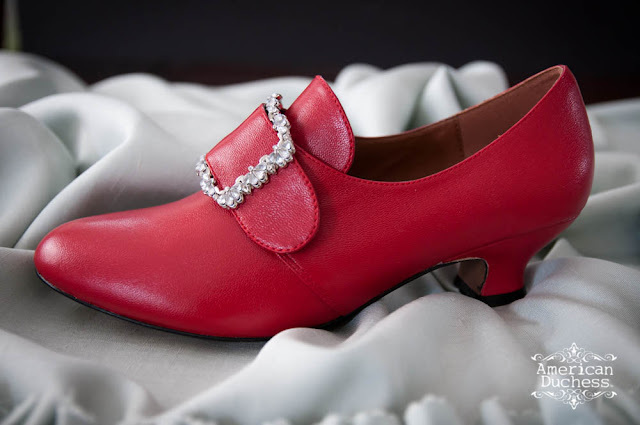 Beautiful shoe! A classic style, can be worn today as dress shoes, and with a Deco marcasite buckle, it could also serve quite passably as a nineteen teens or twenties "court pump". How is the approximate cost for shipping those to France ? Hi Cecile, the shipping to France by 1st Class Mail is about $20. The faster option is Priority, and it will be about $40. This is estimated to Paris. Thanks ladies! And remember, they WILL be coming in Ivory, but later in the Summer. 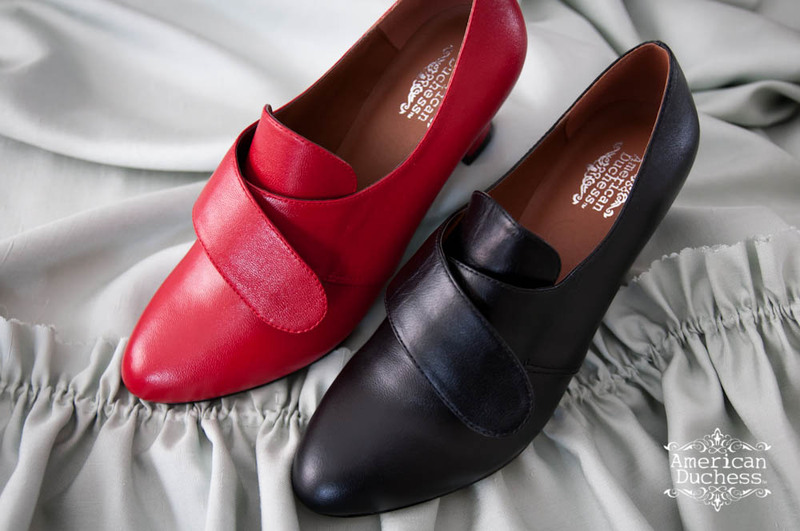 It depends on the success of these red and black shoes, but also Pompadour.